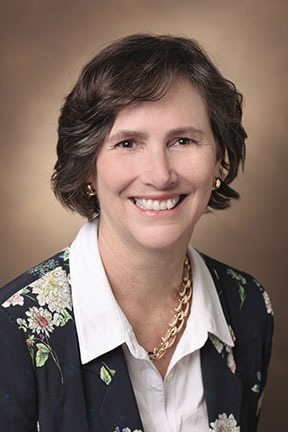 Kathleen Gould, Louise B. McGavock Professor of Cell and Developmental Biology in the School of Medicine, is Vanderbilt’s winner of the 2018 Southeastern Conference Faculty Achievement Award. The awards, now in their seventh year, are an initiative of SECU, the academic arm of the Southeastern Conference, and recognize senior faculty at SEC institutions with outstanding records in teaching, research and scholarship. One winner is chosen from each school and is nominated for the SEC Professor of the Year. In winning the award, Gould received a $5,000 honorarium. Gould has published more than 130 peer-reviewed papers in top-ranked journals. She has received the prestigious Searle Scholar Award, been named a fellow of the American Association for the Advancement of Science, and was appointed an investigator of the Howard Hughes Medical Institute. She also has given scores of talks at institutions and conferences around the world, and her research work has appeared in multiple highly respected journals, including Developmental Cell, eLife, Proceedings of the National Academy of Science, Journal of Cell Biology, and Genes & Development. At Vanderbilt she has won both the John H. Exton Award for Research and an Excellence in Teaching Award. As associate dean of biomedical sciences and director of graduate support for the School of Medicine, Gould has impacted graduate education as well, winning a competitive BEST grant from the National Institutes of Health—one of only 17 such grants in the country—to enhance graduate training and career development. 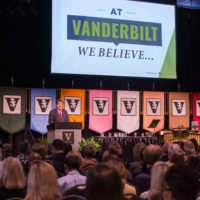 She also created the Vanderbilt International Scholar Program, which ran from 2010 to 2016 to increase the university’s recruitment of outstanding international graduate students in biomedical research programs, a function which is now led by the Interdisciplinary Graduate Program. “Because of her extraordinary work and deep commitment to excellence, the graduate programs in our School of Medicine are among the strongest and most renowned in the country,” said Lawrence J. Marnett, dean of basic sciences. 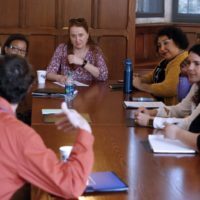 To be eligible for the SEC Faculty Achievement Award, a candidate must be a teacher or scholar at an SEC university, have achieved the rank of full professor, have a record of extraordinary teaching, and have a record of scholarship that is recognized nationally and/or internationally. A committee of SEC provosts chooses the winners. The SEC Faculty Achievement Awards and the SEC Professor of the Year Award are part of SECU, the academic initiative of the Southeastern Conference, which sponsors, supports and promotes collaborative higher education programs and activities involving administrators, faculty and students at its 14 member universities.